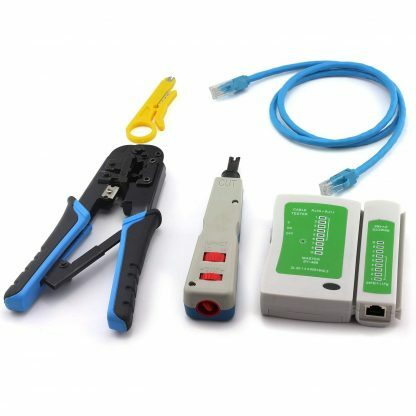 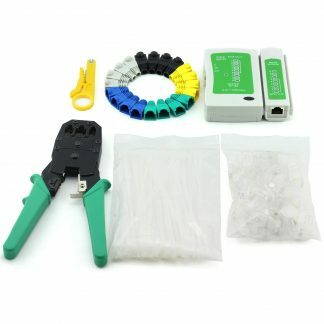 PROFESSIONAL CABLE CONNECTORS CRIMPER TOOL – Heavy-Duty Rugged Carbon Hardened Steel Construction Crimp 8P, 6P, and 4P connectors modular plugs and has a stripper for Round AND Flat cat5e and cat6e cables. 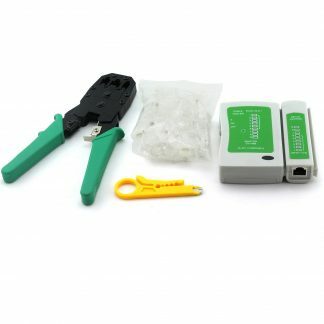 PUNCH DOWN IMPACT TOOL FOR NETWORK WIRE – Professional-Grade Impact punch down Installation tool with 110 Blades,spare blade storage,the punch down to inserts and cuts terminations in one simple operation for Cat6e,Cat6,Cat5e,Cat5 Network Cable. 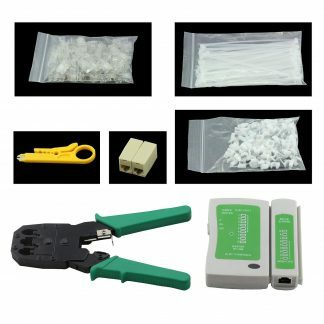 MINI CABLE PUNCH DOWN STRIPPER – Wire Jacket Cutter made of High quality SK manganese steel blade, sharp wear, stripping easy and accurate, and it does not hurt wire core, thick lines, thin lines can be easily stripped skin, durable. 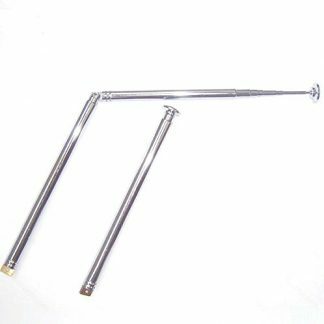 – It also have the capacity to torque.